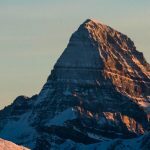 It’s no secret that winter in the Canadian Rockies can test your outdoor stamina, particularly when the mercury dips to the negative double digits. But our resorts here in Banff National Park ski beautifully no matter the temps, particularly so when paired with these cozy activities. Try out these five toasty experiences on your next Banff ski trip – they’re the perfect way to snuggle up with your significant ski buddy. 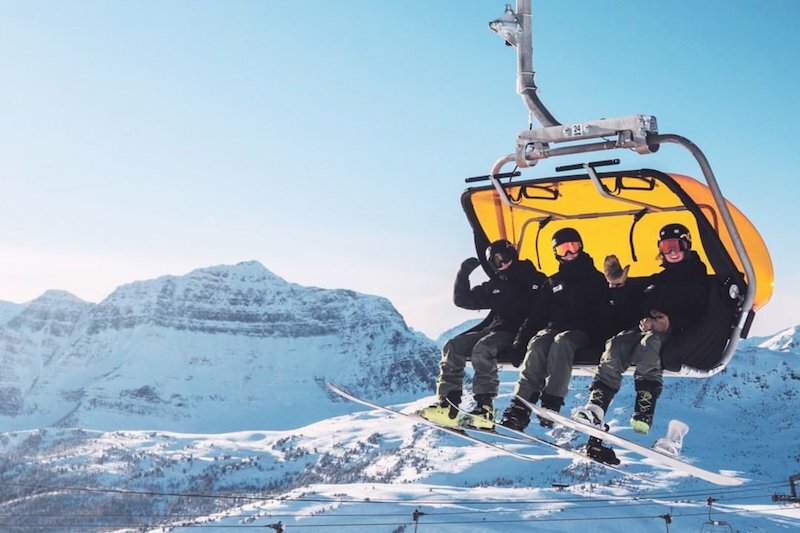 Whether re-toasting frosty ski toes on Banff Sunshine Village’s heated TeePee Town LX chair, (the first and only in Canada) or snagging that ski cutie at Mt. 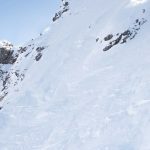 Norquay’s Lifts of Love Valentine’s event, huddling for warmth on the chairlift is a tried and true way to heat things up between runs. Photo by Banff Sunshine Village. Sometimes the best way to warm up is from the inside out. There are tons of great comfort food locales to do just that, both on and off the resorts. 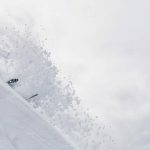 Fondue is a favourite for sharing, and it’s on the menu at both Whitehorn Lodge and Sawyer’s Nook at Lake Louise Ski Resort. 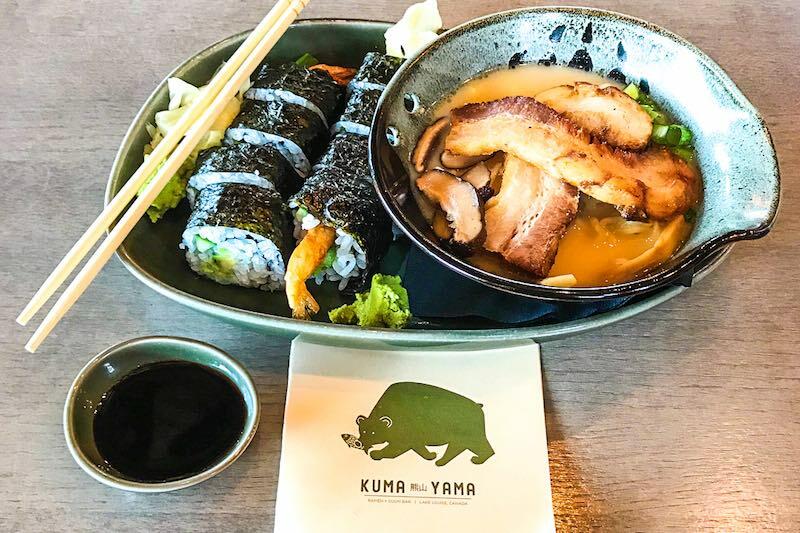 Or head to Kuma Yama for a bowl of piping hot ramen. 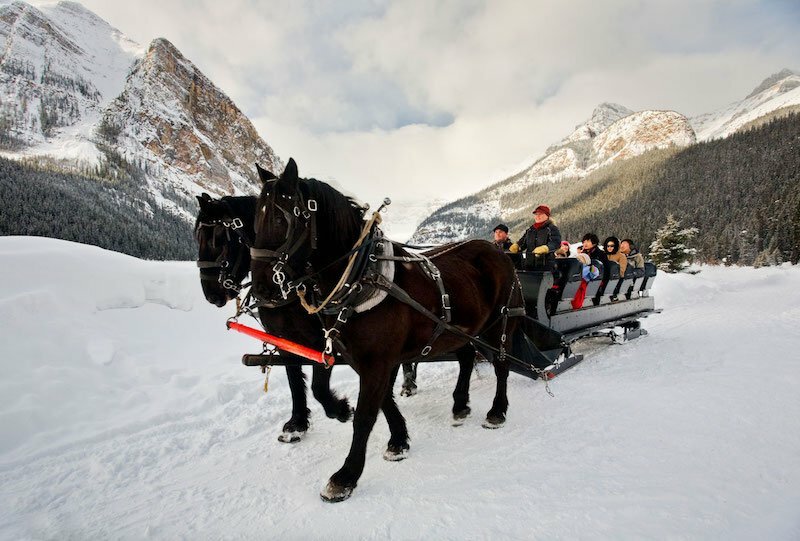 From mid-December to early April, you can take in the winter splendour of Lake Louise with a traditional horse-drawn sleigh ride at the Fairmont Chateau Lake Louise. With comfortable upholstered seats and cozy blankets, this is the perfect way to snuggle up amongst the Rockies scenery. Photo by Paul Zizka Photography / Banff & Lake Louise Tourism. Crackling campfires can still be enjoyed even when the snow flies. 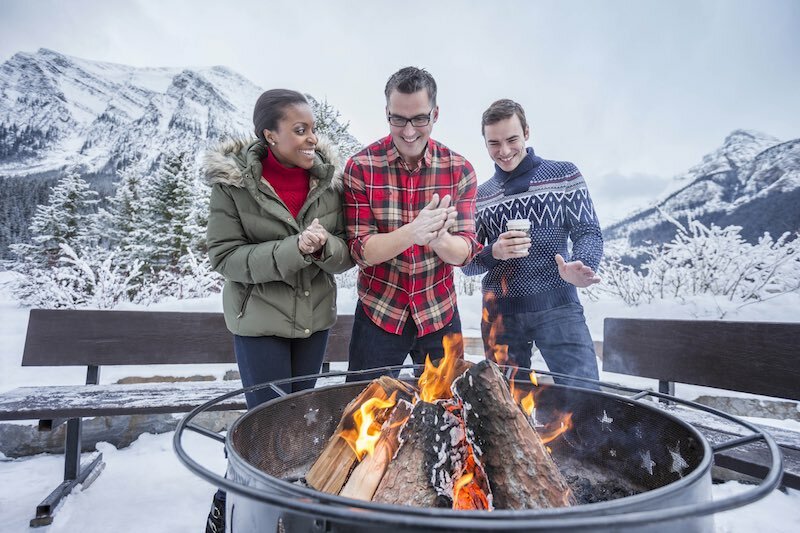 From the base of Banff Sunshine Village to the patio of Kokanee Kabin at Lake Louise Ski Resort, and throughout Banff National Park – check out these bonfire hot spots to enjoy on your off-time from the slopes. Photo courtesy of Travel Alberta. At day’s end, the best way to recuperate from a day in the mountains is not by tucking under a blanket in bed, but under a blanket of stars. These outdoor hot tubs offer some of the best Rockies scenery around, both day and night. 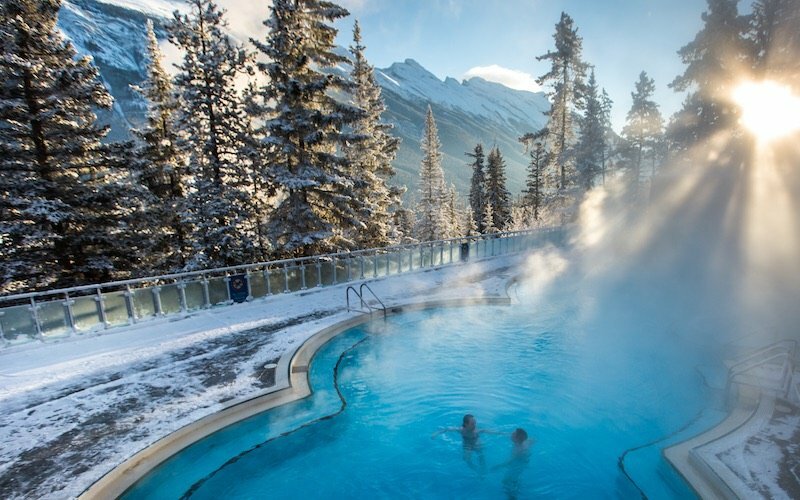 Insider Tip: You can visit the Banff Upper Hot Springs for free with the purchase of a 3+ day SkiBig3 lift ticket! 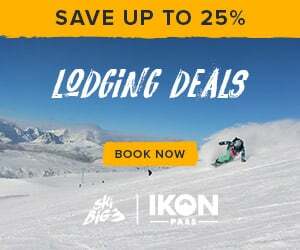 Ikon Pass holders also receive complimentary access – be sure to pick up your tickets at the SkiBig3 Adventure Hub at 119 Banff Avenue before heading up to the hot pool. Photo courtesy of Banff & Lake Louise Tourism / Noel Hendrickson. 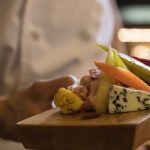 Banff and Lake Louise’s craft cocktail scene has skyrocketed in recent seasons, with new creative tastings popping up on many a local restaurant menu, and the inaugural Tribute to Craft Spirits Festival visiting Banff for the first time in 2018. Getting one of these decadent drinks in your mitts is the perfect way to unwind and warm up after a chilly day on the slopes. 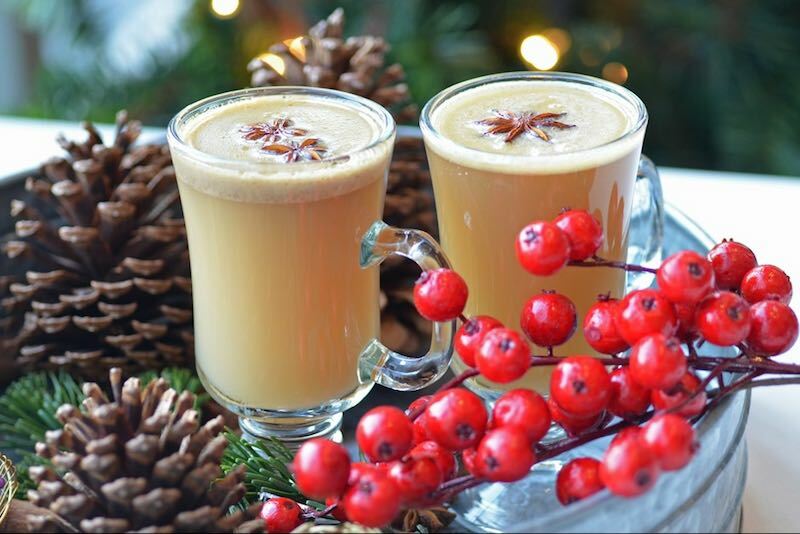 We suggest the Hot Buttered Rum from Alpine Social at the Fairmont Chateau Lake Louise, crafted with Bulleit Bourbon, apple juice, butter, ground clove and cinnamon, and brown sugar. Or, head to the Rundle Lounge at Fairmont Banff Springs and indulge in their warm Hot Apple Pie cocktail – a delicious blend of Bacardi Oakheart spiced rum, peach schnapps, and apple cider. Photo courtesy of Fairmont Hotels and Resorts. Ready to cozy up with your loved one to make your own magical memories? Talk to our Vacation Planners today by calling at 1-844-754-2443 . 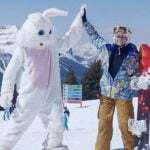 Or, plan your Canadian Rockies ski vacation online. Great Ski & Stay Packages are available now. re. : picture # 5, maybe they could be wearing jackets as well?